on to shirt | Inside the mind of lulupants! My little one had to dress up like a Dr Seuss character today in honor of Dr Seuss’ birthday. All the girls in her class wanted to be Sally but my little one wanted to be thing one. 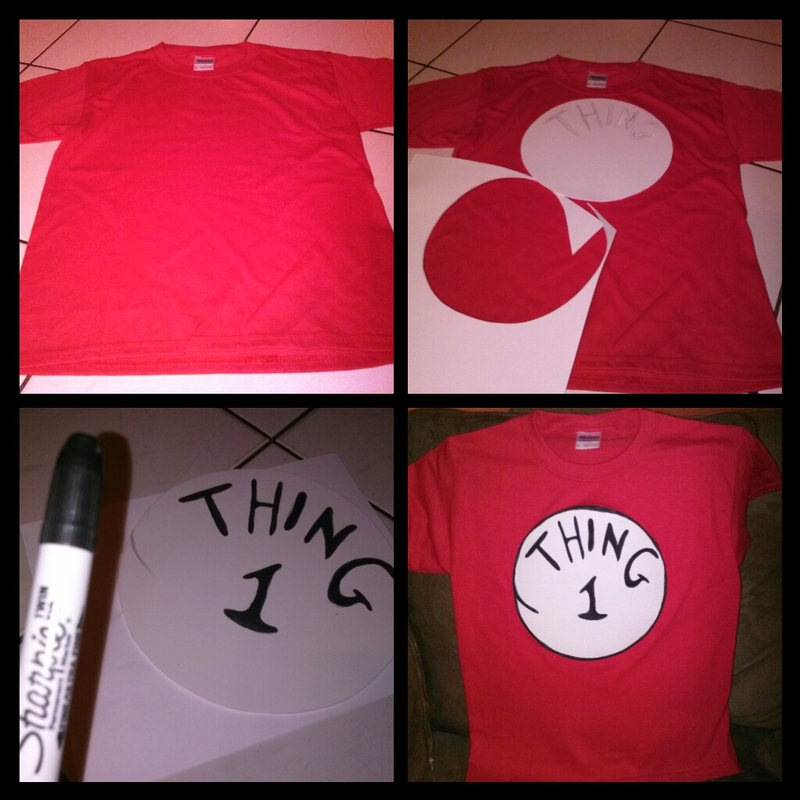 I didn’t want to buy the costume because I know she wont reuse the costume for Halloween, so I decided to go out and look for a Thing 1 shirt. I was told about this on Tuesday night and was able to look for it until yesterday. Because it was such a short notice I couldn’t order it online so I went to the mall. i looked and looked and couldn’t find anything. So I did what a crafty mom would do. I made it myself. My little one wasn’t too sure that it would come out like the actually shirt but her face was priceless this morning when she woke up and the shirt looked awesome (one point for me!!). It sounds easy but it took me forever because I kept getting the letting wrong. it was too small or too little.